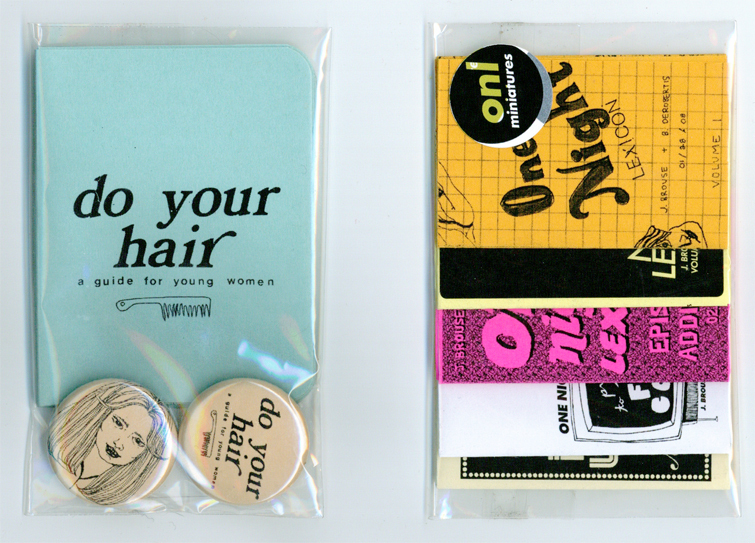 Above: Some wee things available from BJ for tonight’s Annual Art Sale at MCAD (including mini versions of the one night lexicon collaboration!). The school is filled to the brim with work by both current students and alumni. A massive event here in MPLS, lines are long but spirits are high! It’s soo cool.. It makes me want to print some of my work on notebooks and postcards! Thank you, Jenna, and Hallo Manar! You two should make mini books together! This entry was posted by Erik Brandt on Friday, November 21st, 2008 at 11:39 AM	and is filed under Aktuell, Art, Comic Art, Education, Graphic Design, International, MCAD, Minneapolis, News Links, Typografika, Typography.